Growing up in one of those heartland states Jim was defending was his future wife, Beth, a native of Omaha, Nebraska, although they didn’t meet until years later in Arizona. Beth is a supporter of the Arizona Chapter, too, having served as Chapter Secretary, Membership Chair and in 2014 as a Chapter Director. In 1967 Jim became part of a 10-man U.S. Air Force crew at a Republic of China Air Force radar site on the island of Makung in the Taiwan Strait. The crew’s duties included providing air surveillance and assistance to U.S. military aircraft traveling to and from Southeast Asia. 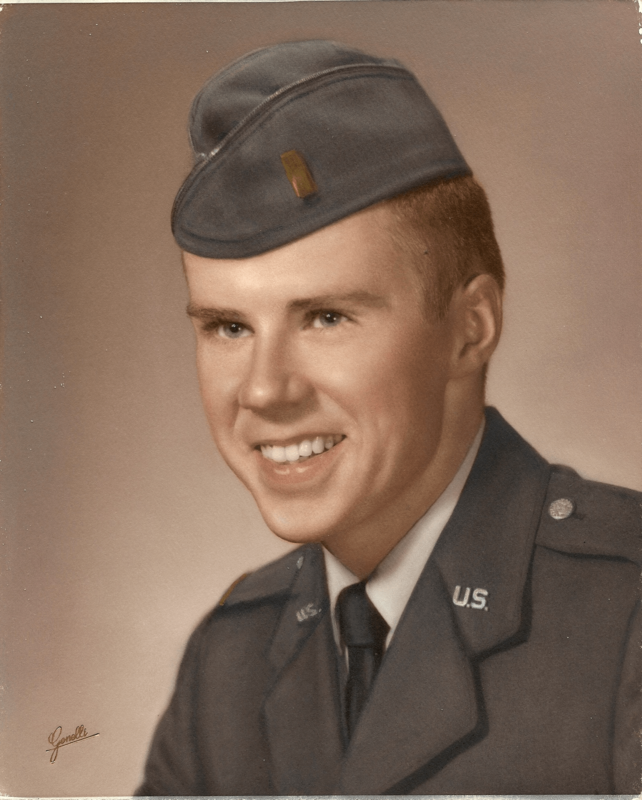 Upon return to the U.S. in 1968, Jim was assigned to another NORAD direction center at Luke Air Force Base, where he served until he completed active duty in 1970. Then he began the second phase of his military career in the Air National Guard. After a short period in the Ohio Air Guard, he returned to Arizona in 1972 and joined a newly reconstituted unit, the 107th Tactical Control Squadron in Phoenix. The 107th was a radar unit with worldwide mobility tasking that provided radar support for aircraft performing air combat tactics from Luke AFB. The squadron also participated in joint force exercises in the states and overseas and took part in anti-drug surveillance operations. Jim held the successive positions of Weapons Assignment Officer, System Training Officer, Senior Director, Operations Officer and Squadron Executive Officer, retiring in 1993. During that time, the squadron won three Air Force Outstanding Unit Awards and at one point was named the best tactical air control unit in the Air Force, active and reserve. 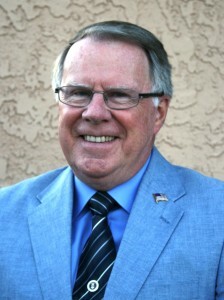 His civilian career included work as a newspaper reporter and editor, public relations and marketing communications manager at Mountain Bell Telephone Company and US West Communications, and program support manager at the Arizona Department of Transportation. He retired from full-time work in 2007. Jim joined The Retired Officers Association (TROA) upon retirement from the Air Guard and joined the Arizona Chapter of MOAA in 2005, where he’s been newsletter editor, 2nd Vice President and 1st Vice President. He also is a member of the Air Force Association and does volunteer work with the St. Vincent de Paul Society, which provides assistance to less fortunate individuals and families in the community. On January 18th, 2014, Colonel Cullison became our 53rd Chapter President. He and his wife, Beth, live in Scottsdale.